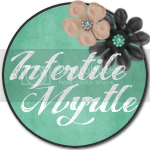 The Infertility Overachievers: I can officially feel my ovaries! 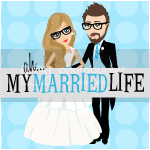 Since this isn't my first ride on the infertility train, I kind of know what to expect. However after waking up from a nap today, I felt like I was smuggling grapes across the boarder in my ovaries. Today is only day 4 of my stims so I can only imagine how much worse it's going to get over the next week or so. Right now I'm wearing work out shorts with an elastic band, and I have to keep pulling them up over my belly button so nothing touches my painful midsection. On top of feeling like an overstuffed fruit basket, I'm SUPER bloated. So these shorts that I keep tugging on are on the verge of no longer fitting. I'm drinking a TON of water and Gatorade to trying to keep from getting OHSS (over hyper stimulation syndrome). It usually doesn't happen until after the ER (egg retrieval) and there is no real way of preventing it, but the Dr's told us that TONS of fluid helps. Besides feeling new parts of my body today, it has been relatively uneventful. I talked to Mike this morning and assuming he is still able to get a 4-day pass has decided to drive up here (rather than fly) for my ER. This will work out ALOT better because now we don't have to deal with the time constraints of a flight. Also he will be able to drive down to Savannah when he leaves here to pick up "The Girls" (Leia, Maddy, and Abby). They are still at my sisters in bad doggy quarantine. Well I better be off, its movie night with the mother-in-law again. Tonight we are watching, "Reign Over Me" with Adam Sandler. Hopefully its good. UGHHH, bloated?!?! Totally not a fun feeling, I feel you girl!!! Keep it up you're in my daily prayers and thoughts!